The new project "Internships for university students" funded by OP Science and education for smart growth is open. You can register and check the available internship positions and companies on the project website. All students who successfully complete their 240 hours internships would receive 480 BGN stipend. For more information, please write to tdinova@aubg.eduor CareerCenter@aubg.edu. This project proposal amplifies and develops the ongoing Grant operation BG051PO001­3.3.07­0002 Internships for university students within the scope of Human Resources Development Operational Programme 2007-­2013. The achieved results were more than 70 000 successfully finished internships. Till 2017 will be used, developed and approved the procedures, the pool of experts, the web ­platform, the control systems and mechanisms for implementation of internships in the universities which were built between 2013 and 2015. The project proposal is inline with the context of the national and European goal for strengthening the relations between higher education and labor market, since there is a discrepancy between the human capital coming out of the universities and the labor market. 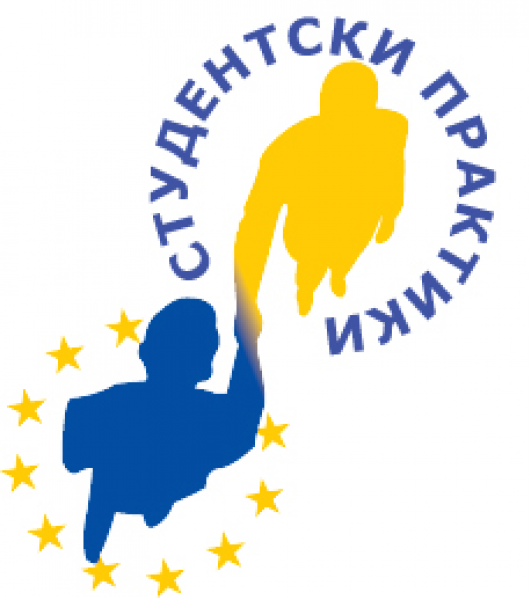 The Partnership agreement between Bulgaria and the European commission which is the frame for the implementation of the Structural Funds for 2014­2020, strongly addresses the problem of higher education in Bulgaria that gives a very slow answer to the changes in the qualification, motivational and professional needs of the human capital. In the Strategy for development of higher education, adopted by the National Assembly in 2015 as a main challenge is placed the realization of the specialists with higher education which in almost 50 % of the cases is not inline with the majors received in the universities. Other key challenge which is taking place in the document is the lack of connection between the higher education and the needs of the business and the public sector. The project proposal is inline with the Strategy which is setting out the measures for building a sustainable and effective relation between the universities and the labour market. The project “Internships for University students” is an example for a successful approach in fostering further strategic cooperation between the higher education institutions, business and research sector.